Catkins children enjoyed Chinese New Year! 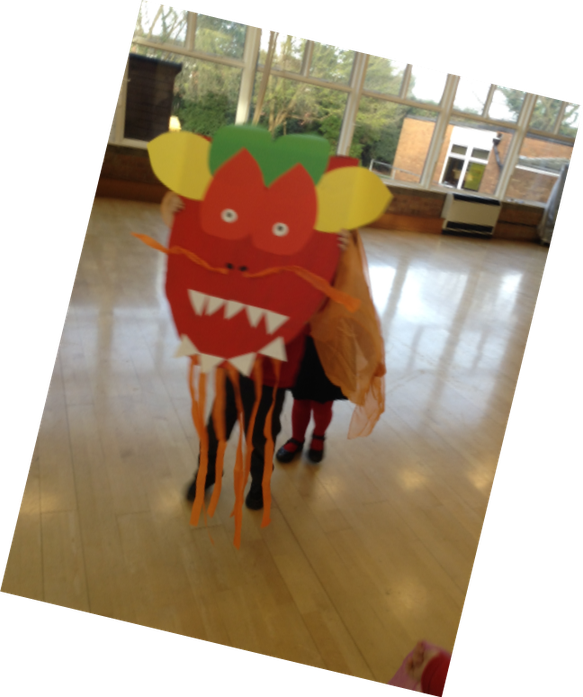 We made a dragon head and used it to dance around the hall as a Chinese dragon while we listened to music. 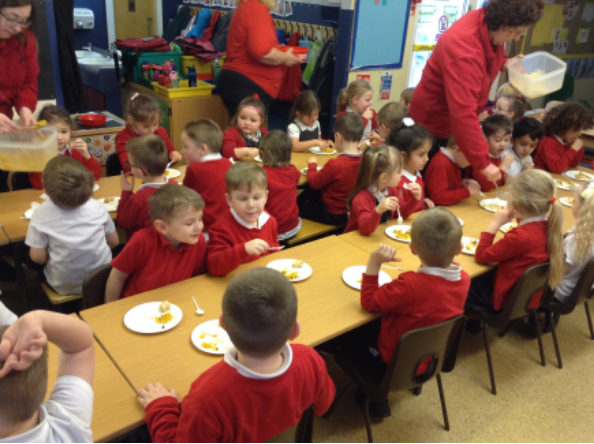 We also tasted different foods- some of which we have never tasted before. We had different flavours of rice, spring rolls, prawn crackers, noodles, soy sauce. In our home corner we had our own Chinese celebrations! The children have really enjoyed Wellies and Mac club. After dressing up in waterproof clothing they went to play in the forest school area. They made huts, leaf kebabs and pear soup! One week, they went out in the pouring rain and splashed in puddles. Some of them had never done it before! At the end they came in for hot chocolate and biscuits. This term we had a reading café. Our mums and dads came into school to learn all about how we read, including our phonics sounds. They had a cup of tea and a biscuit. Afterwards, we came into the hall for squash and biscuits, and shared a book with them!